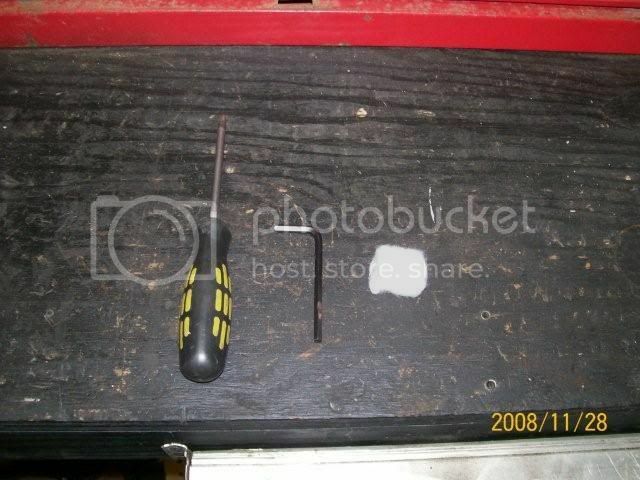 'Phillips Screw Driver, Metric Allen Wrench from your tool kit. The key to your bike. Clean rag , Q-tip and #2 pencil. How long will it take? Less than 15 min. from start to finish. First remove the gas cap (with your bike key). Out of the 7 alien bolts in the instrument cluster chrome piece, only the 5 closest to you hold the piece on. Remove these 5 bolts leaving the 2 closest to the front of the bike still screwed in. 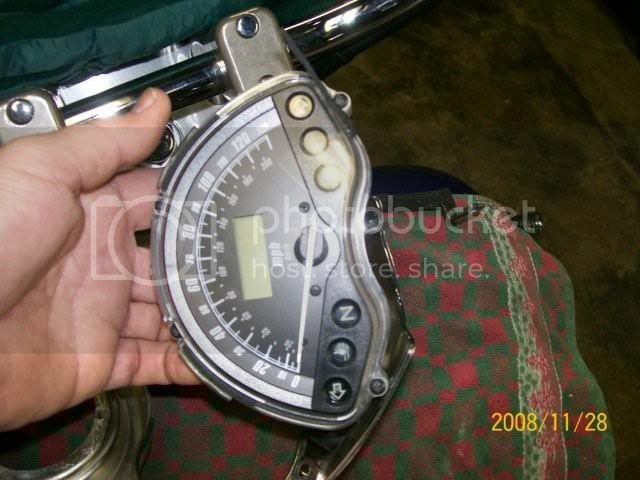 Pick up gently (about 1/2" inch) on the jointed end of the instrument cluster chrome piece and push the entire assembly towards the front of the bike. Lift it up and off, rotating it off the right side of the gas tank until it is hanging by the wiring harness. Don't worry; the wiring harness is zip-tied in there so it's not straining any connections. At this point unscrew the last two alien bolts to separate the instrument cluster from the chrome piece. 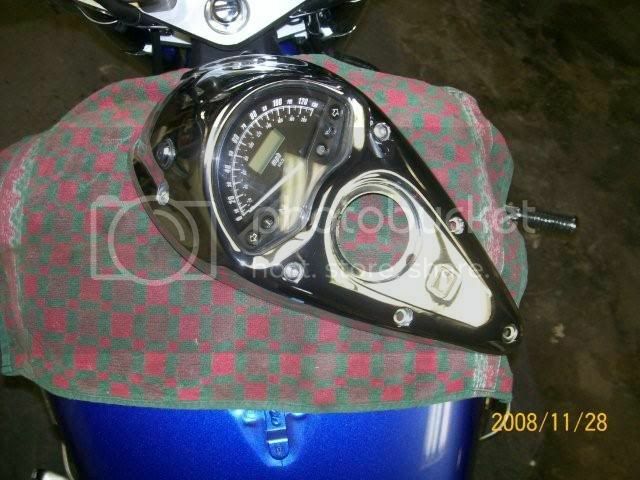 Rotate the instrument cluster so that it is facing on and the chrome piece is facing the bike. 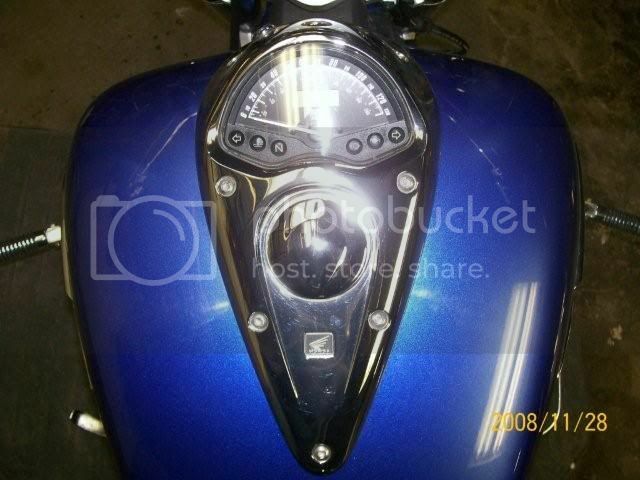 (The instrument cluster will still be feathered to the chrome piece by the wires for the Trip Odometer switch.) 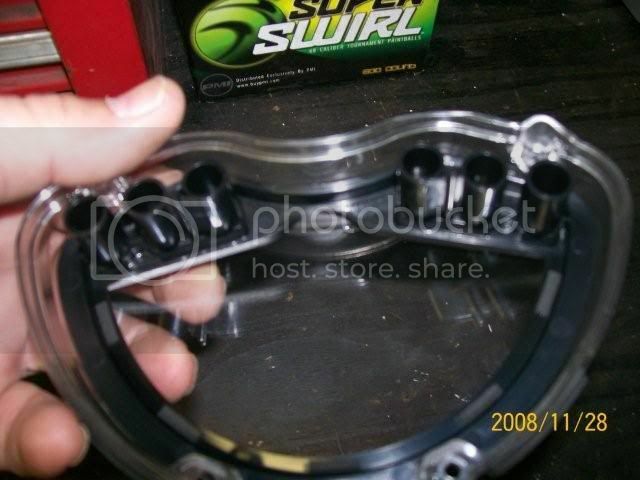 There are 4 screws holding the clear plastic cover on the instrument cluster. Unscrew the top two first and put them to one side being careful not to loose or drop the plastic washers on them. Unscrew the bottom two but do not pull them all the way out as they are a pain to get back in and past those small dam pieces. You now have the plastic cover free. Be careful not to get anything including dust on the underside of the cover, it is difficult to clean. Pull all the cotton off one end of the Q-tip and fluff it up as much as possible by here as this will make it more even. You can hold the cover up to a lamp every now and then to see how even the cotton is, if it is lighter or darker on one side, use the eraser to gently move the cotton around and then tap it back down. Once it is fairly even, you are ready for reassembly. Place the cover back on the instruments, screwing in the bottom two screws first, then the top row. Rotate the instruments back onto the chrome piece and screw in the two alien bolts that old the two pieces together. Observe that there is a metal tab on your gas tank, this fits in the rectangular hole on the underside of the chrome cover. 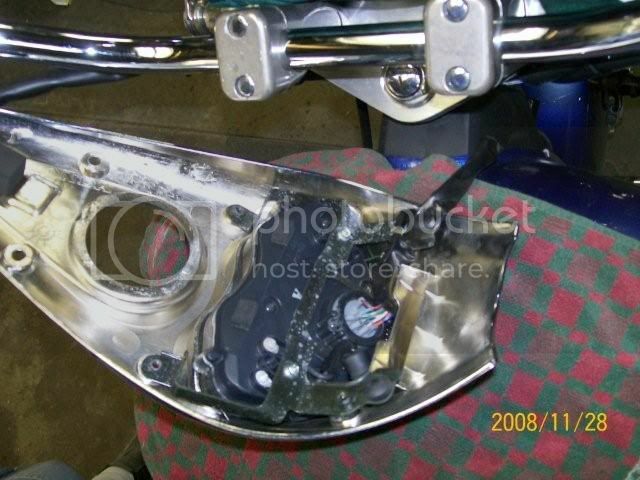 Make sure that all the wires are routed round this rectangular slot Rotate the cover back to the top of the gas tank. Start with the assembly forward of where it should end up and slide it back onto the metal tab. You can look under it to line this up. Once the tab is in the slot, line up the hole at the point of the chrome piece and screw in the alien head bolt just enough to hold it in position. At this point make sure that the wires coming from the front of the assembly are tucked back under the gas tank and coming straight over the lip and under the instrument cluster. Start the last four alien head bolts in their holes before tightening any of them down. Once they are tight (Snug but not too tight, that's chromed plastic you are cranking down on), put the gas cap back in, take the clean rag and wipe all those nasty fingerprints off your tank and chrome. I know this has been discussed before but I have never seen pictures of it and that is why it took me so long to do it. I was scared to take it apart. not knowing what was under there.So I figured now that I have done it I would take some pictures so others can see how simple it actually is..
First - Stuff you need. Then lift cover up from tank and place a towel between it and the tank. Then carefully flip it over and remove the 2 phillips head screws holding the metal bracket to the dash. Then again being carfull not to scratch anything move Metal bracket aside and pop out the dash from the cover. 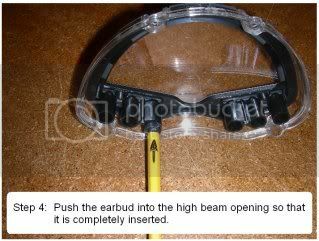 you will see 4 screws on the clear side remove them. Then pull clear cover off dash. You should then have just the clear cover to work with. 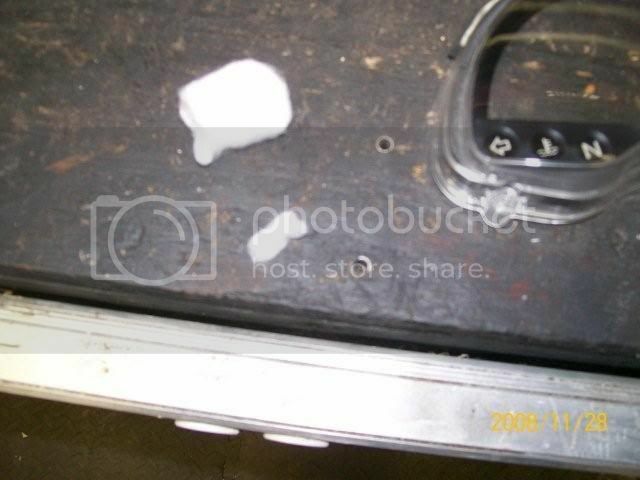 See the tubes on the inside Locate the one for the highbeam and stick a small piece of the cotton from the cotton ball in it. Then put it all back together in reverse order. 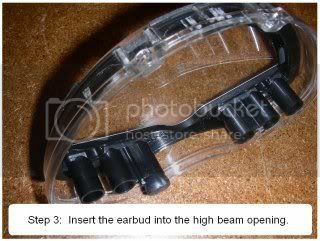 And you will have a dimmer Highbeam dummy light. 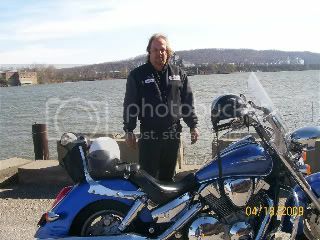 It was one of the first things I did to my bike. 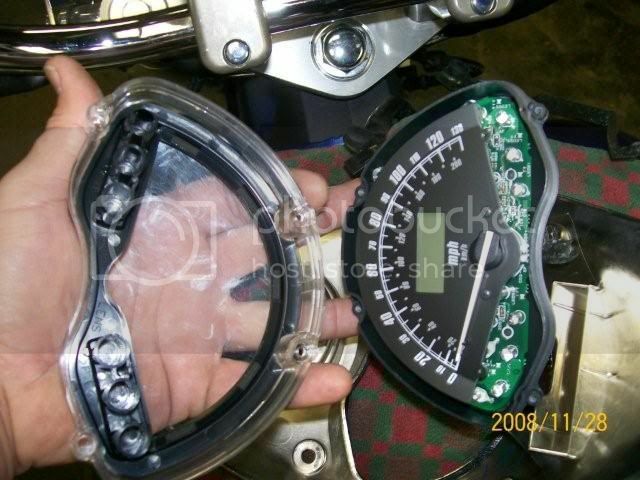 Dissassemble the speedo cluster and take a sharpie or any black felt tip marker and color it. It will still shine through,, good luck ! 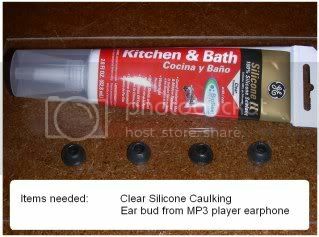 Although 4 earbuds are shown, you'll only need one. 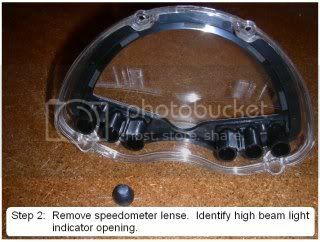 Once these steps are completed, re-assemble your speedo lense / housing. 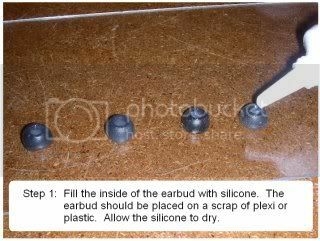 The silicone filled earbud will hold itself in the lense. The silicone will diffuse the high intensity light and will allow enough light through so that you can still see that your high beam light is engaged. The intense high beam indicator is a very easy and almost free fix. 1. Inside the headlight bucket find the blue, NOT light blue, wire going back to the dash panel and snip it about an inch from the connector. 2. Strip the ends back about 1/4". 3. Solder tin the stripped portion. 4. Slide about 2" of heat shrink over the wire end not attached to the connector. 5. Take a 1K ohm resistor, 1/8 or 1/4 watt, cut the leads to about 3/8" and solder it in-line between the 2 ends of the blue wire. 6. Center the heat shrink over the resistor and shrink it down. 7. Test it out and put the headlight back together. All you are doing is limiting the current going thru the LED, less current less brightness. It will be bright enough to see in daylight but not bright enough to be annoying and distracting at night on a dark country road. I got my resistor off an old circuit board I had laying around. A new one costs pennies. The color bars on the resistor would be brown-black-red in that order. '03 1800 VTX-R, Memphis Shades 21", Roadhouse Classic 2:1 pipes , World sissy bar and rack, Kury ISOs and M/S lowers, Tsukayu bags.. Titanium (the coolest AND fastest color). Here is the photo showing the proper wire to cut and where I placed the 1k ohm resistor. 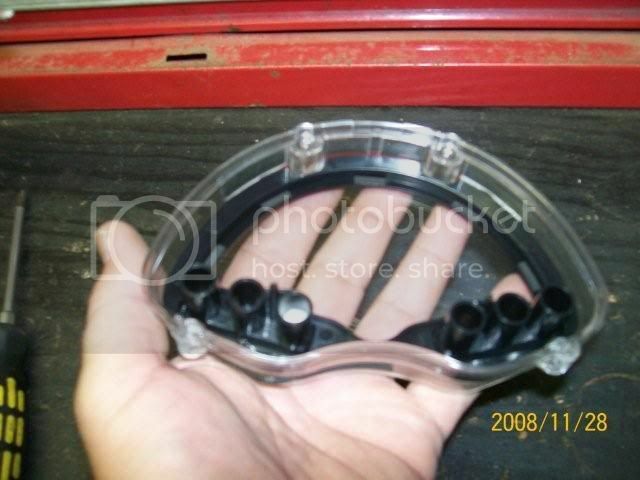 (Note: I also performed the garage door opener mod and this shows the connections inside my headlight bucket). Thanks for the mod info... It worked like a charm! It looks like you cut and spliced a bunch of wires if all those white sections are heat shrink tape. Just wondering. I bought a 5 pack of the 1k resistors at Radio Shack for $1.99. I will ask you the same question as I asked above. Did you check which direction the color bands were or did it not matter? Most all of those splices were already there I just happened to have white heat shrink tubing that matched the others. The only wire I cut was the solid blue wire on the left side of the photo (the one the arrow points to). As for direction of bands... it doesn't matter as resistors are not directional like diodes.